Discover the magic of Aloe vera. 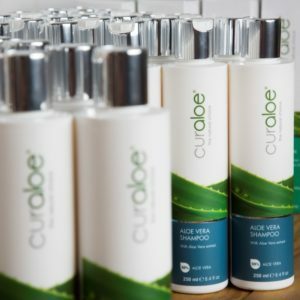 Curaloe’s organic line of face and body care products is incredibly moisturizing and allows your skin to restore to its bright, angelic potential. Grown and manufactured at the local Aloe Vera Plantation, we take pride in offering some of the most pure Aloe vera products in the world. Oh! Don’t forget your friends at home: Curaloe is the island’s most authentic gift.